Master Chief has made an unexpected debut. Photos and videos of the highly anticipated game have made their way onto the Internet. According to IGN and G4TV, people have also been posting play-throughs of various campaign levels and even the ending of the game. “We have seen the reports of ‘Halo 4’ content being propped on the Web and are working closely with our security teams and law enforcement to address the situation,” a Microsoft spokesperson told Game Informer. It is still unclear as to whether the content that has been revealed is from the final Halo 4 game or if it is an unfinished build. Microsoft has not commented on how serious the situation is. Halo 4 is expected to be released on November 6. 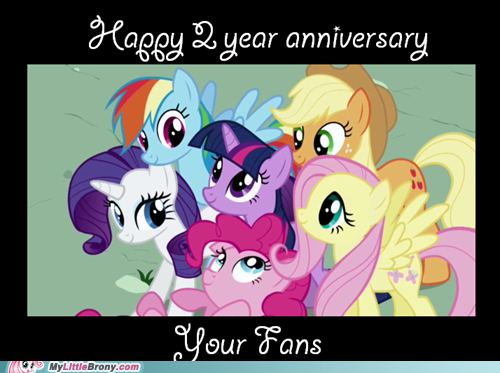 The newest generation of the “My Little Pony” celebrates its second anniversary today. “My Little Pony: Friendship is Magic” first aired on October 10, 2010. What was supposed to start out as a show for little girls attracted a unexpectedly large adult fan base. According to the Hub, the cable television channel that runs MLP:FiM, roughly 95,000 adults ages 18-49 tuned in to watch the two-part Season 2 finale. The Ohio State University Marching Band dedicated their most recent performance to a legacy of video games. The band played tracks from popular game series such as The Legend of Zelda, Halo, and Super Mario Bros. The video has gone viral on YouTube reaching over 4 million views within two days. The Halo 4 live-action series “Halo 4: Forward Unto Dawn” has gone live today. The first episode was released and can viewed on the Halo Waypoint website and other sites such as YouTube. The series is meant to give a backdrop to the Halo 4 story, according to IGN. This is the first of five episodes. A new episode will be released weekly up until the release of Halo 4.